Should we accept the extinction of endangered species as just another part of evolution? The smack of the asteroid against Earth released energy on the order of billions of atomic bombs. 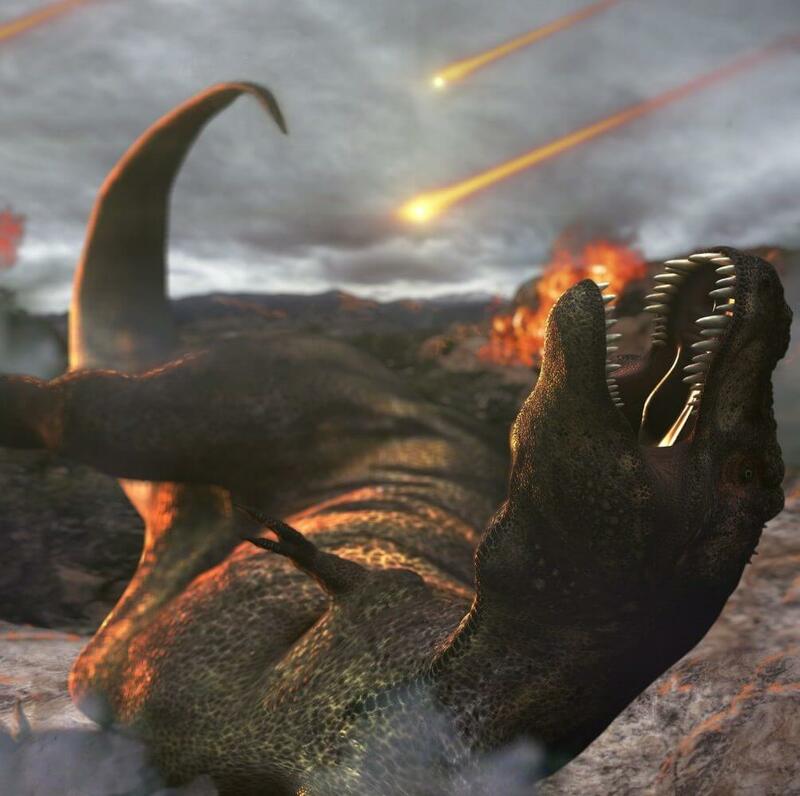 Dinosaurs were the cataclysm’s most famous victims, joined by sea creatures, plants and microorganisms. In a paper published [November 9] in the journal Scientific Reports, a pair of researchers calculated the asteroid had little more than a 1-in-10 chance of triggering a mass extinction when it smacked into Earth. 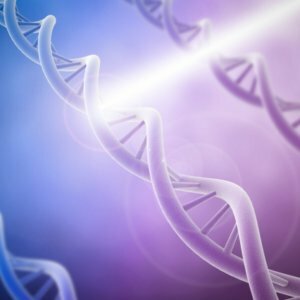 In 1990, scientists announced they’d found the entry wound. It was a giant pockmark in the Yucatán Peninsula, the “Crater of Doom,” centered near a small Mexican town named Chicxulub. [A] recent paper in Geophysical Research Letters […] contends that the asteroid released killer amounts not of soot, but of gas. Carbon dioxide and sulfur gases blown extremely high into the atmosphere would have the opposite of a greenhouse effect: surface temperatures plummeting by more than 20 degrees Celsius, or about 40 degrees Fahrenheit. 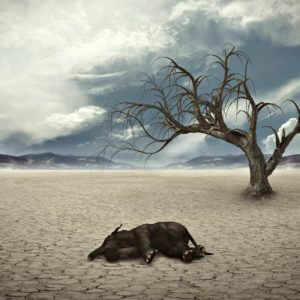 “If you cool the planet by 26 degrees Celsius in five years you’re going to cause a lot of extinction,” Bralower said. To release these climate-altering gases, the asteroid needed to hit a shallow sea above sedimentary rock. 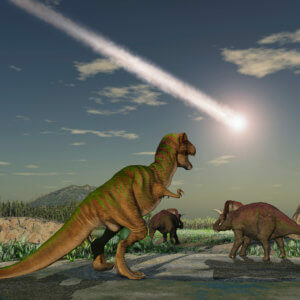 In other words, the asteroid would have had to strike a place just like Chicxulub.